Delivery on USB key by postal mail, no additionnal fee. 4 Gb USB drive including the software, the user's guide and your licence. 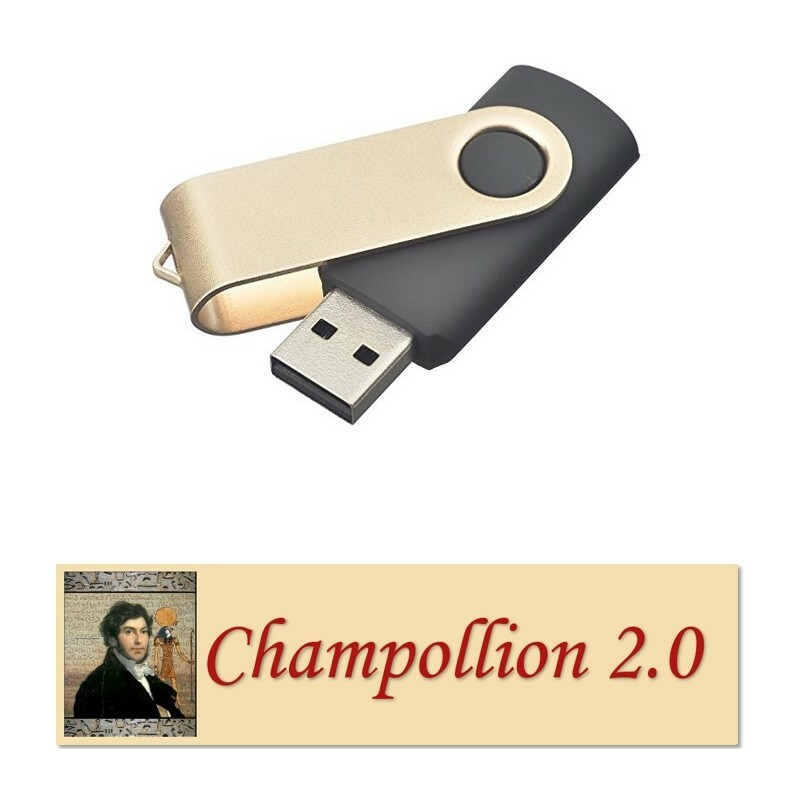 Just click on the Champollion.exe item to install it. Registration is automated.